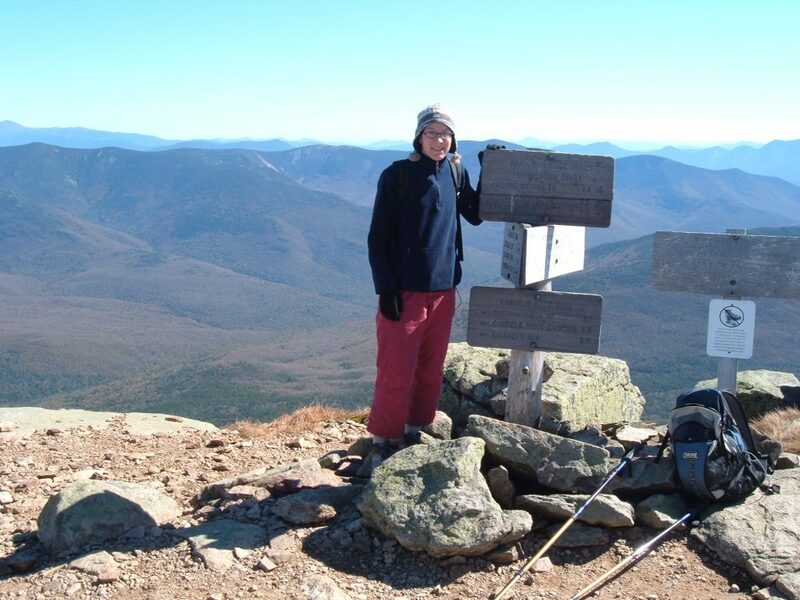 This hike began on a chilly autumn morning after spotting a car at Loon and driving to the Garfield Trailhead. I was geared up with fleece, hat and mittens while my hiking partner Frank seemed to be able to generate enough of his own heat. The trail up to Garfield is a piece of cake. It served as a nice warm-up to stretch the legs in preparation of the long day ahead. 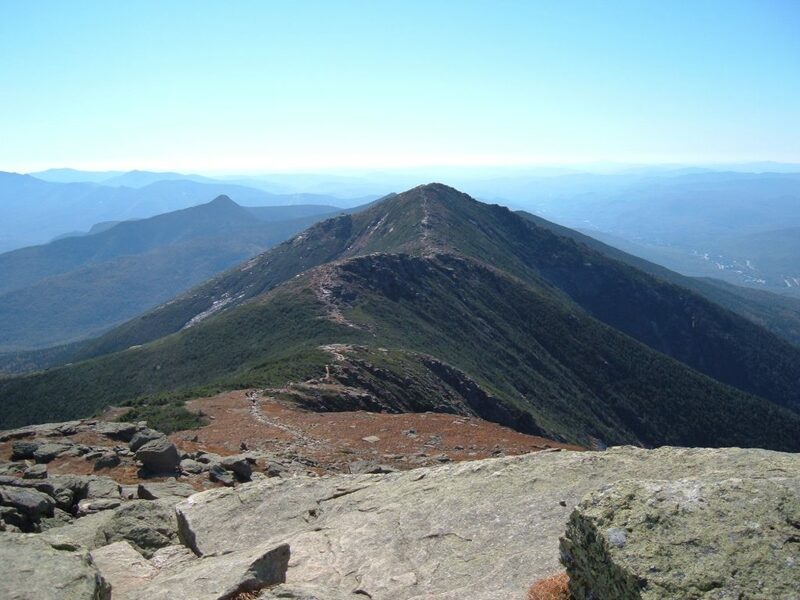 The goal was to traverse the entire Franconia Ridge and bushwhack along the old route of the Old Osseo Trail to Whaleback. No one was at the summit of Garfield when we arrived at 9 am. The sky was crystal clear. All the clouds settled into the valleys below us. They wind was a bit cold at times and the air was very crisp. The ridge was rolling and scenic. As we hiked along we bounced between deep conversations and total silence. It was nice to be able to do both. The ascent up to Lafayette left me breathless. Once we emerged above the treeline, I was snapping photos left and right. The wind was whipping over the ridge but the chilly air didn’t bother me. I scrambled over some rocks and noticed some ice and snow in the shady nooks and crannies. October, right. We reached the summit around 11:30, after taking plenty of time to enjoy our last bit of solitude before reaching the overcrowded ridge. The walk over to Lincoln was rocky but easy and we moved quickly to avoid getting stuck behind the other groups. 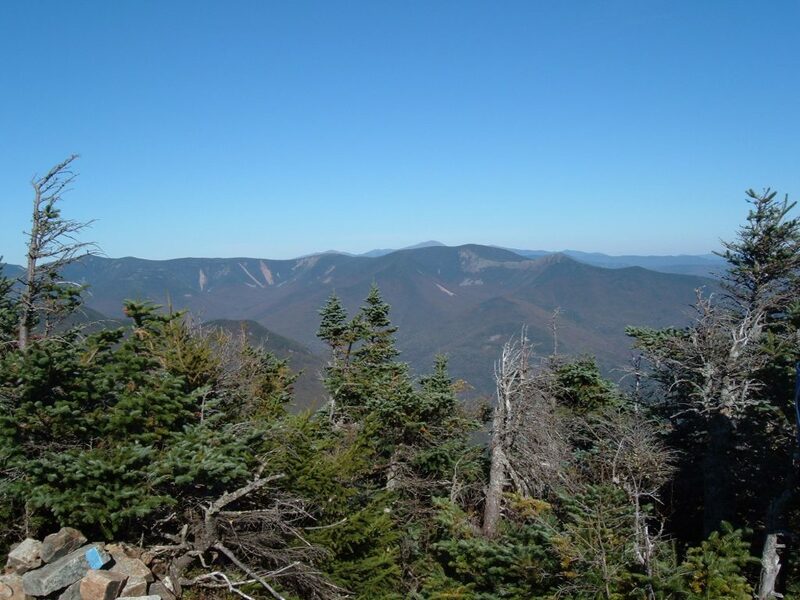 Along the way I savored views of Cannon Mtn, Kinsman Ridge, Liberty and Flume. The summit of Lincoln was a madhouse full of people, but it served as our lunch break nonetheless. We had to walk off the main trail to find a decent spot to sit down. 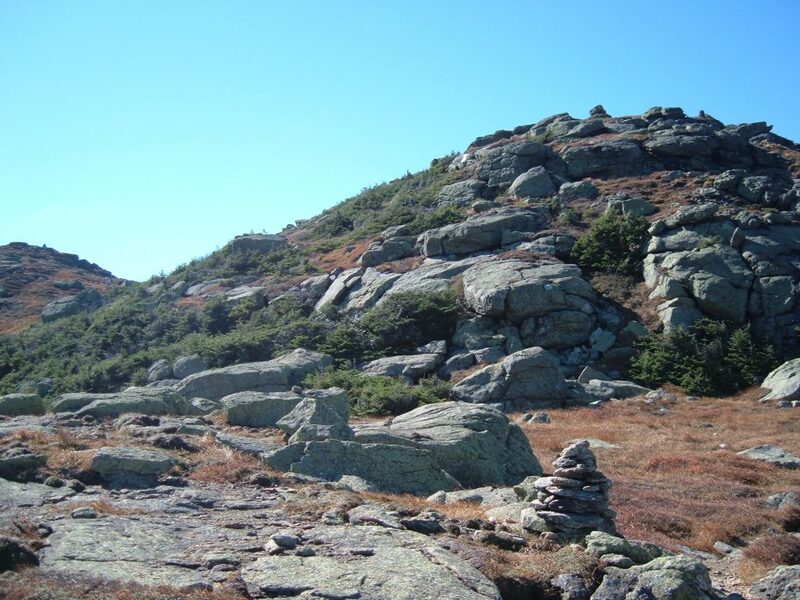 Without fanfare, we continued over Little Haystack and Liberty. I admired Flume Slide from afar and vowed to hike it again some time. Just before 3:30 pm we reached the top of Flume, where I ran into another fellow from Cranston. Weird. After a quick break we set off on the last leg of the trip. We began by descending Flume on the Osseo Trail and kept our eyes open for the old section that we’d planned to follow to the Whaleback. After a couple of false starts we found the right trail (honestly I don’t know how Frank finds these things). We mostly stayed on track until one huge blowdown sent us off the old trail and bumbling around in the woods for about an hour. Eventually we reconnected with the old trail but decided to backtrack to the maintained Osseo Trail and come out at Lincoln Woods. So here we were. Frank was annoyed that he’d lost the trail and I was mad that I lost my fleece somewhere in the woods. And, my map and gloves that were tucked into my fleece! Ugh, those nasty branches. As a consolation Frank offered me his map, which was way nicer than mine anyways, and I was grateful for the offer. We ended up hiking out by headlamp, reaching the parking area by 7:30 pm. We were really moving fast to get out of there. Luckily, with about a half mile to go, we ran into some other hikers who were able to drive us the 3 miles from Lincoln Woods back to our car at Loon. That would have been one quiet, long road walk. It was a great hike, and the afternoon crowds were totally offset by the lack of people on the first and last hours of the hike. Long sleeves and pants were definitely in order for the day but it was comfortably cool, with clear skies, good company, fun terrain and good weather. I love weekends! 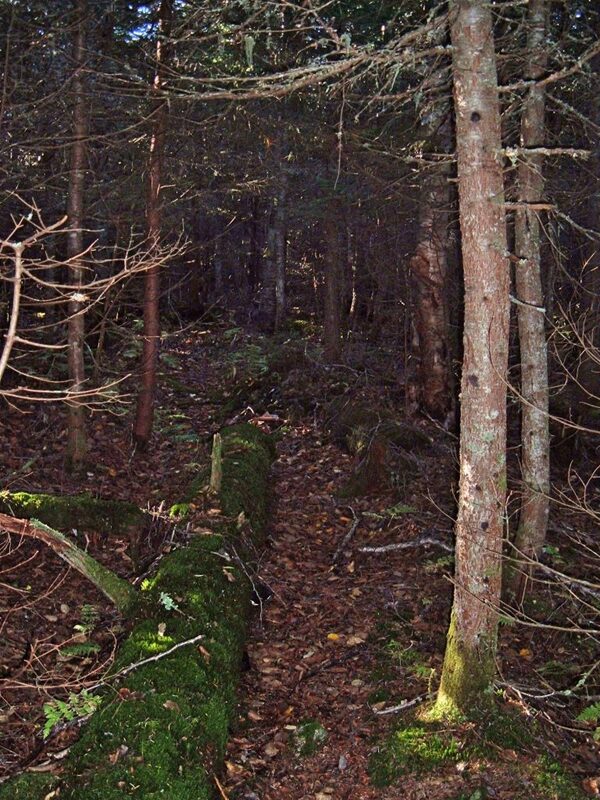 This entry was posted in Hiking, New England and tagged hike366 on October 2, 2005 by Jess B.